One of the things I always try to do here on Environmental Booty is to stay away from fear mongering and present scientific reports or evidence to help people live the green living way of life. 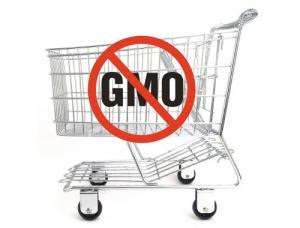 When it comes to genetically modified organisms as foods (GMO), so many people are still asking, "What is a GMO" when I think the real question they should be asking, "What are GMO doing to my body?". Considering that over 90% of our corn in the USA is GMO, and that corn is in everything, it is pretty important to decipher the truth now and start the green lifestyle by simply easting organics. Genetic engineering as it is used in crop development is not predictable or precise and hasn't been shown to be safe. It can result in the unexpected production of toxins or allergens in food that are unlikely to be spotted in current regulatory checks. GM crops, including some that are already in our food and animal feed supply, have shown clear signs of toxicity in animal feeding trials. Most notably disturbances in kidney function, liver function and immune responses. GM proponents have dismissed statistically significant findings as “not biologically relevant/significant”, based on unsound scientific arguments. Certain EU-commissioned animal feeding trials with GM foods and crops are often claimed by GM proponents to show they are safe. Quite the opposite is true - examination of these studies shows significant differences between the GM fed and control animals that give cause for concern. GM crops create serious problems for farmers, including herbicide-tolerant “superweeds”, compromised soil quality, and increased disease susceptibility in crops. 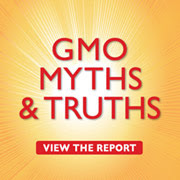 GM foods have not been properly tested in humans. GM crops actually reduce biodiversity, harm soil quality and disrupt ecosystems. GM crops do not reduce pesticide use but increase it. And as if the entire list is not worrisome enough, that last item is the most worrisome to me as a study from the University of Pittsburgh released at the end of March of 2012, is the first to show that pesticides can induce morphological changes in vertebrate animals. Are we next to morph or are we already? Is this why male sperm rates are dropping and in the Potomac - listed as one of the most endangered and polluted rivers with toxic runoff from farms listed as one of the culprits - male amphibians have ovaries and female frogs are being found with male genitalia? It is really pretty simple to keep yourself and your family safe from GMO. 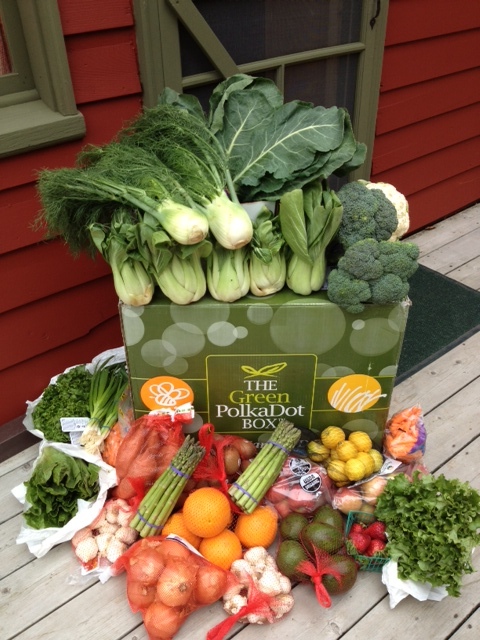 Simply buy organics whenever possible. People always ask me where I get my organic food without going broke and I love to tell them about The Green PolkaDot Box. Backed by the Organic Consumer's Association and EnvironmentalBooty.com, at the Green PolkaDot Box, you can easily buy NonGMO organic groceries, including Harvest Fresh Organic produce, at wholesale pricing online. It's like a Sam's club but focused on organics for the green, healthy lifestyle. You can even shop by dietary restrictions like gluten free, vegan or diabetic and it all comes right to your front door - without any GMO's. So now you know why to go green with organics. DOn't just sit there, go tell your neighbors, friends and family about the new report by genetic engineers that tells the why behind GMO foods being bad for you.